New 2015 model is unique due to it being designed and engineered in the USA. With more features and ergonomics making it a must for all uses. This specially designed portable generator is ideal for all sorts of leisure, domestic, construction and industrial light applications. The auto governor generator has AVR technology which provides a steady motor speed alongside excellent emissions. This creates an environmentally friendly generator with reduced noise. Easy and reliable to adjust due to its advanced MCU. Heavy-duty industrial frame design provides full protection and aids portability. Suitable for running power tools and lighting units etc. Fitted with automatic voltage control which protects the unit and provides higher efficiency and improved fuel economy. 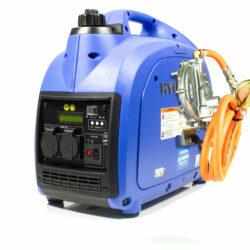 This powerful and reliable generator is fitted with a 12V battery charging outlet and 230v and 110v sockets. It is also fitted with a maintenance-free brushless alternator. 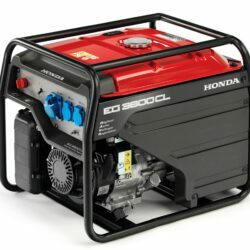 This generator has a manual pull start with TCI ignition. This is a smooth running unit fitted with anti-vibration mountings, a fuel gauge and an automatic low oil cut-out feature. 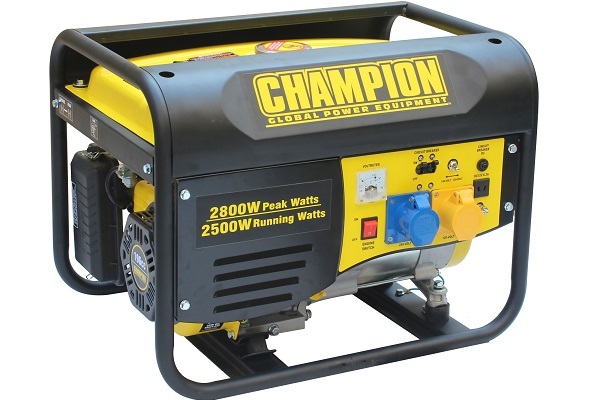 The Champion Power Equipment CPG3500UK petrol portable generator is powered by a 6.5hp 196cc Champion single cylinder, 4-stroke OHV engine that produces 2500 running watts and 3125 starting watts. With a 14.3 litre fuel tank this unit can run up to 12 hours at 50% load. Our OHV engine is designed for long life and easy maintenance. This unit is ideal for RV’s, camping trips, hunting, travelling, jobs around the house, or as home back-up power during emergencies. The EG3600 combines efficiency and portability with the quality of power and toughness demanded by industrial work. 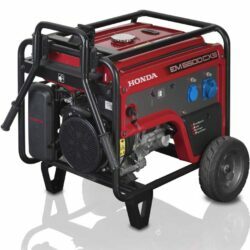 Built with Honda's latest technology and encased by a sturdy frame and fastened by high-quality hardware, this generator will last for years on the job.